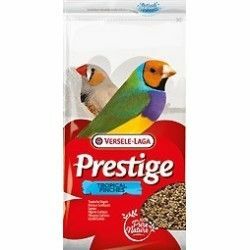 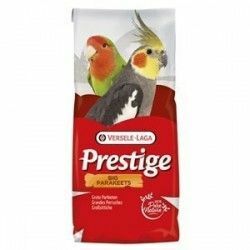 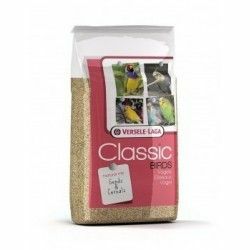 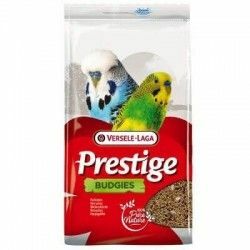 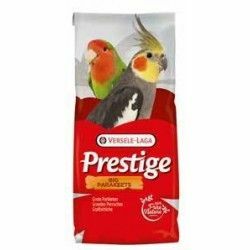 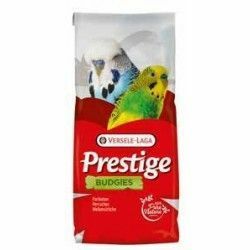 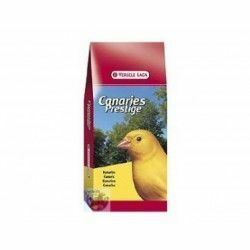 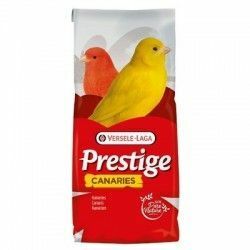 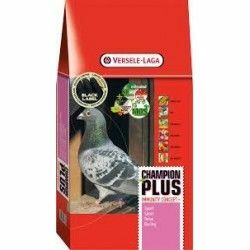 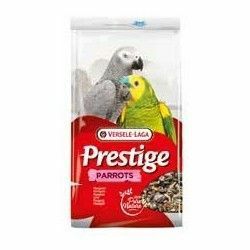 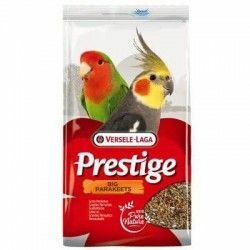 Versele-Laga Prestige Exotic is a complete food suitable for the daily diet of exotic birds such as Gouldian finch or zebra finch. 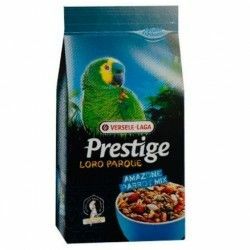 His recipe is enriched with vitamins, amino acids and minerals that benefit the general health of your pet: they protect the digestive system, help to keep the hair shiny, and strengthen the natural defenses. 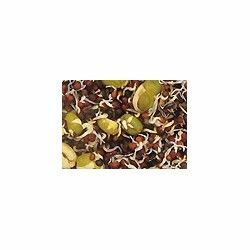 In addition, it contains the optimum amount of calcium which strengthens the bones. 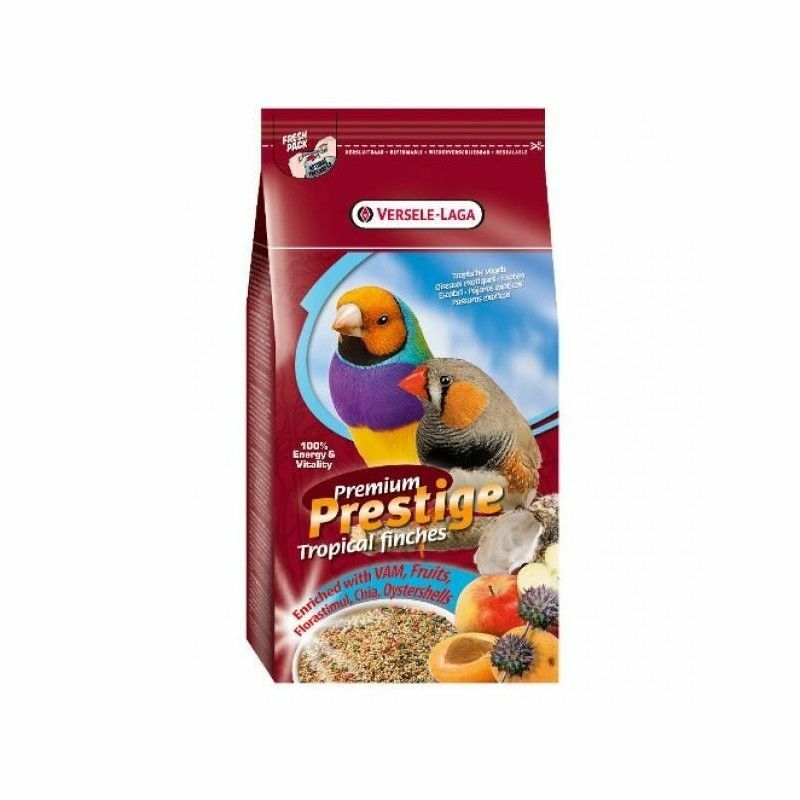 High percentage of essential fatty acids omega-3. 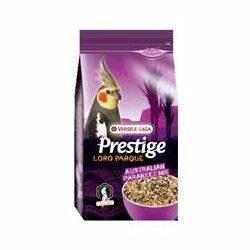 Contains the optimal amount of calcium. 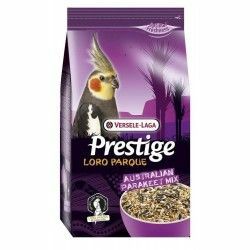 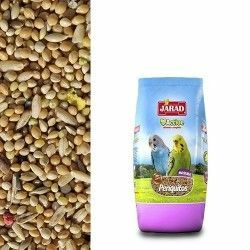 Complete food for exotic birds. 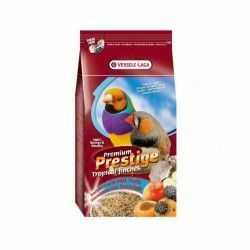 Ingredients: seeds (at least 2% chia), grains, by-products of vegetable origin, minerals (min 2% of oyster shells, oils and fats, sugars, fructo-oligosaccharides. 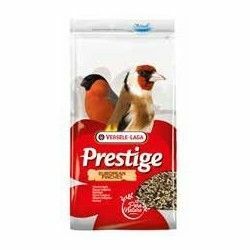 Analytical components: crude protein (13%), and fats crude (5%), crude cellulose (6,5%), crude ash (6%), calcium (0,9%), phosphorus (0,4%), DL. 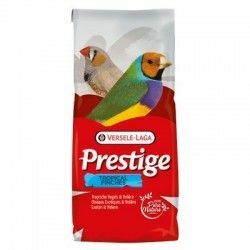 methionine (950 mg/kg), L-lysine (250mg/kg), vitamin A (8000 IU/kg), vitamin D3 (1600 IU/kg), vitamin E (20 mg/kg) copper-enxofre cupric (II) (7 mg/kg).